Beer Tasting & Tap Takeover, with Uncle Bear's Brewery (Ahwatukee & Phoenix). July 26, 2018 at 6 PM. 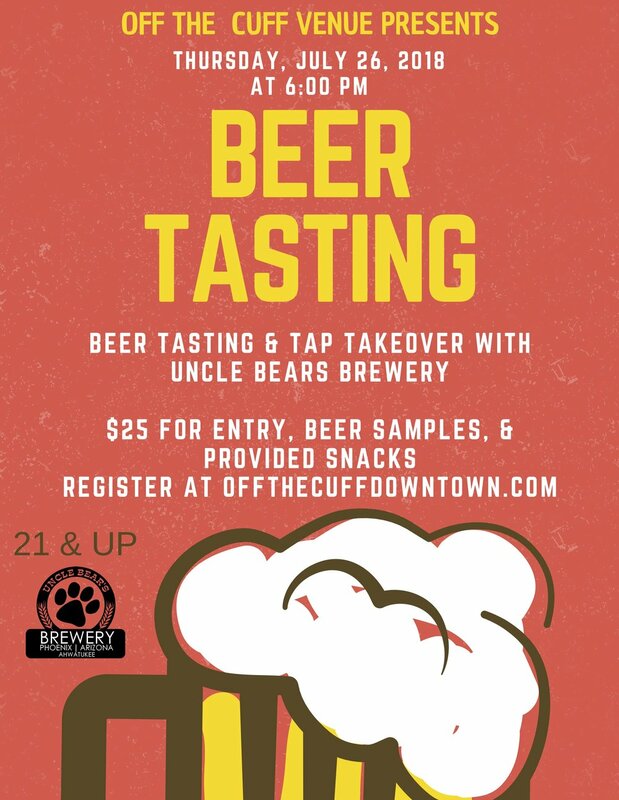 Enjoy a night of beer tasting poured by the knowledgeable brewers at Uncle Bears Brewery based out of Ahwatukee, Arizona. $25 entry gets you beer samples paired with snacks and appetizers from CUFF's Kitchen. OTC Comedy Night with Kris Tinkle!